Of the three accidents that happened in Eastern Massachusetts, in one morning, a single-car accident in Raynham took the life of an 80-year old woman from Weymouth, according to the Boston Globe. The accident happened as she was heading South on Route 24 near Exit 13 just before 6 a.m. The woman was thrown from the vehicle and was taken to Morton Hospital in Taunton where she was later pronounced dead. Officers are still investigating the cause of the accident, according to Trooper Thomas Murphy. 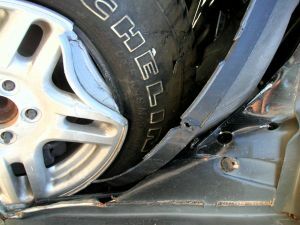 Our Boston car accident attorneys understand that traffic is expected to pick up throughout the rest of the year. With the holiday season approaching, more and more motorists are expected to hit the road. Another accident that morning left a vehicle in flames. This accident happened when a van and a sedan collided just outside of a restaurant parking lot. Both drivers, a 58-year-old and a 21-year-old man were seriously injured. The van driver was taken to Massachusetts General Hospital and the driver of the sedan was taken to Salem Hospital. The third accident that morning ended up blocking the northbound lanes on Interstate 93. The three-car accident happened in Medford near Exit 34. There were five people in these three cars, all who were taken to local hospital. That accident is also still being investigated. Road trips may be the backdrop of some of our fondest memories and chances are there may be one planned for you in the near future. Residents and visitors typically gear up for a long car trip around the holiday season to visit friends and family, or to simply get away from them both. Before heading out though, there are a few things you should consider to make your trip a bit safer. Have your vehicle checked out to make sure that all of the maintenance is up to date. Make sure you take a look at the tires and the battery, and that the oil has been changed. Have a plan. Although heading out without a destination may be exciting, it can also be dangerous. Be sure to have a route planned. Determine your route so you’ll be less likely to get lost and less likely to be distracted with GPS systems and with road maps. It’s also a good idea to check the Internet to see if there are any roadblocks or any construction zones throughout your trip so that you can plan accordingly. Not knowing things like this can increase your risks for an accident because a majority of accidents are caused by distracted and unprepared drivers. You’re urged to carry a cell phone with you to use in case of emergencies, but only then. Talking on a cell phone while you’re driving greatly increases your risks for an accident. Everyone in the car should be buckled up, too! Seat belts are some of the best protection against injury and death in the event of an accident. As more and more Americans hit our roadways in search of the perfect vacation spot, remember to sit back and enjoy the ride, but to do so safely and responsibly! If you or someone you love has been injured in a car accident in the Boston area, contact Massachusetts Car Accident Attorney Jeffrey S. Glassman for a free and confidential appointment to discuss your rights. Call 1-877-617-5333.